I’d never read a word of Shirley Jackson before I read We Have Always Lived in the Castle last fall. I’d missed The Lottery somehow, despite my bookish decades upon the earth, and only barely registered recognition when my partner handed me Jackson’s final novel last fall and told me I needed to read it. I read it. And I loved it. Jackson was an outsider in almost all the spaces in which she lived. She was born almost exactly nine months after her parents were married, and it seems her mother never quite forgave Shirley for turning her into a mother so soon. Shirley’s parents were socialites and were, to put it mildly, surprised by the child (and adult) Shirley turned out to be: willful, moody, unconventional, and entirely uninterested in dressing or acting as “proper” as her parents and brother. She never kept the kind (or number) of friends her mother wished she would, and wrote often of her feelings of isolation. Her first attempt at college ended in an intense bout of depression that brought with it an academic dismissal. Her marriage to her husband, Stanley, was an intellectual equality the two delighted in, but Stanley’s constant infidelities plagued Shirley and triggered periods of significant anxiety, depression, inferiority, and a number of other things that drove her into isolation even within her marriage. The towns in which she and Stanley raised their family were often conservative and small-minded, and did not look well on Jewish Stanley, the strange writer Shirley, or the liberal, Democrat, atheist family the two of them were raising. Her writing was often met with confusion about her intended genre and audience, anger about the way she portrayed her characters (realistically, which is to say they were sometimes quite terrible people), and altogether less appreciation than it deserved. During the two years she was working on We Have Always Lived in the Castle, she was diagnosed with colitis, characterized by intense pains, diarrhea, and nausea, all three of which only worked together to amplify her already-existing anxieties. It was colitis and anxiety that trapped her in her home as she finished the book (this is terribly interesting background once you’ve read the story), and it began her spiral into agoraphobia, from which she never quite recovered. This slim novel does a few things no other book does nearly so well, and it’s an impossible volume to adequately define. It is a murder mystery in which there is little actual mystery. It is a haunted house story in which there are no ghosts. It has an unreliable narrator who never actually lies to us. It is a book centered around mental illness in which the characters with mental illness have the strongest voices, see the world most clearly. It is a book in which the broken show the most love, and defend that love with fire and venom. It’s a great book, and is one of the few pieces of Jackson’s that was well-received during her life. 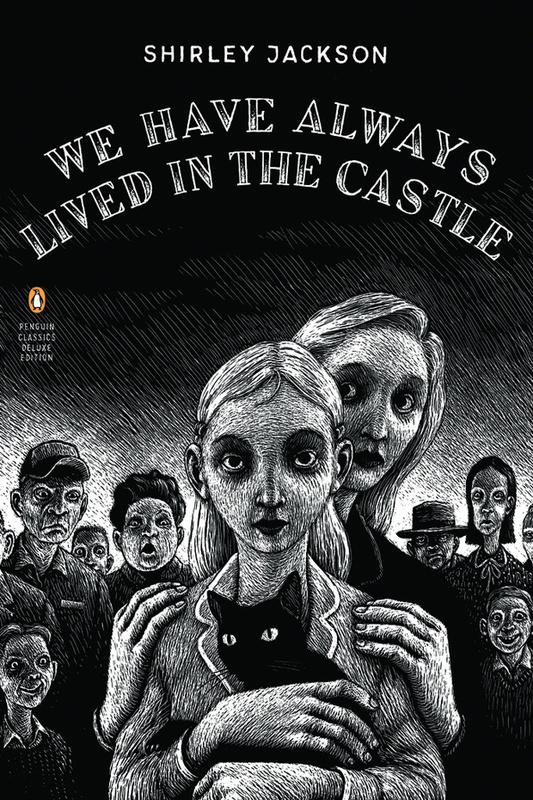 Read Fourth & Sycamore’s full review here, and if we’ve convinced you to pick up the book, consider joining Bookish on October 17th for our discussion of We Have Always Lived in the Castle. For more details and to reserve your space, email me at gplbookclub [at] gmail.com. *I've just finished Ruth Franklin's just-released Shirley Jackson: A Rather Haunted Life, which I heartily recommend to anyone interested in knowing more about Shirley Jackson's life. Thanks, David. You might note the author of this article actually referenced that book throughout the article.